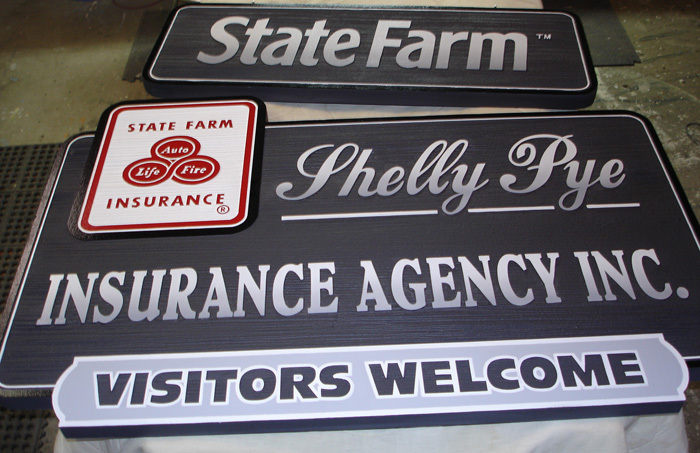 Sandblasted Signs Gallery 4 - Newest! 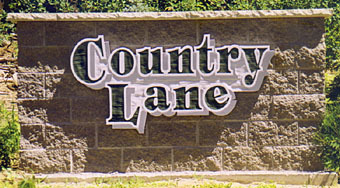 Country Lane Sandblasted Redwood sign - HWY 25 just North of Brainerd. 30" x 5' mounted using a 'blind mount'. Bolts in back of sign run into holes in structure filled w/ silicone adhesive. Cut out 1.5" thick hdu sandblasted letters on a 2 sided Cedar panel. I've been doing a lot of cut	out	letters	lately. This kind of signage is very readable, appealing, will last many years, and is a nice style and look. 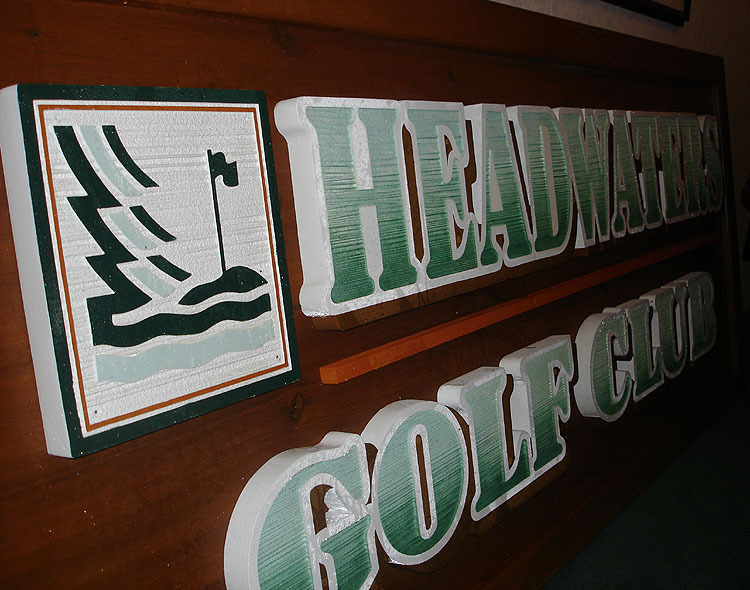 Thank you to Keith and everyone at Headwaters Golf in Park Rapids. 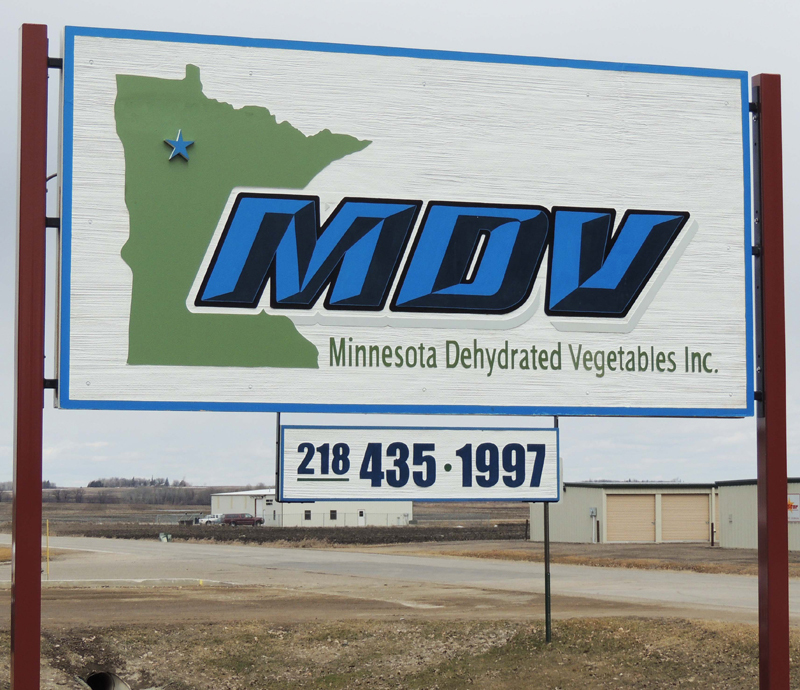 This sign will be mounted on a nice field stone structure in the spring and I'll have to get an updated photo of it. 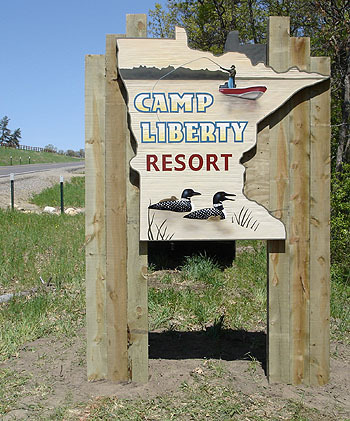 Camp Liberty Resort in Nevis, MN. 5'x5' blasted signs. Thank you Todd! 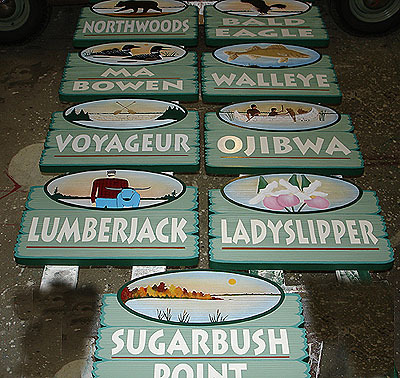 Bowen's Resort on Lake Winnibigoshish, each one of their cabins was given a name. Thank you Bill & Gail! 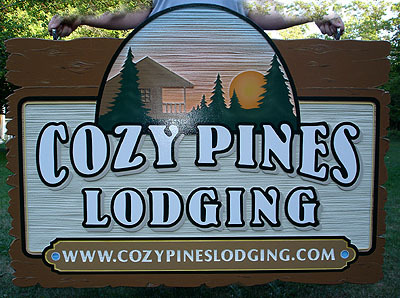 Custom designed sandblasted sign shipped to Myrtle Beach! Sandblasted custom sign shipped to the East coast. The pictorial is digitally printed vinyl. The light yellow and white background allow the colors in the pictorial to really 'pop'. 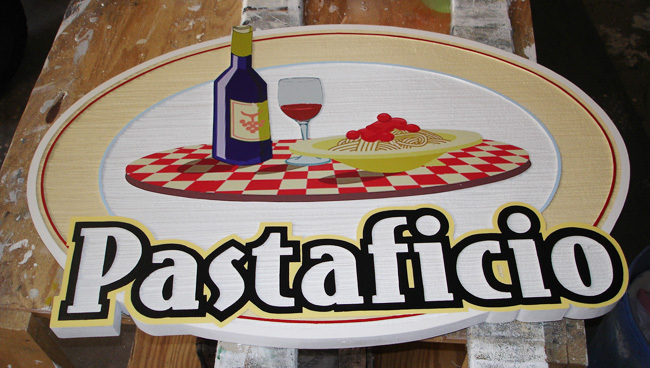 Pastaficio letters are blasted out with a raised painted black and yellow border. Cozy Pines - This customer wanted a 'plank look'. 2 sided and 3" thick. The side angle looks great with the cut out plank jagged edges. Shelly Pye State Farm Insurance - Shipped to Canada. Nice airbrushed fade on this one. Thank you Shelly.